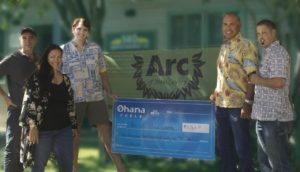 Ohana Fuels partners with the HCECO and donates $5,385.83. 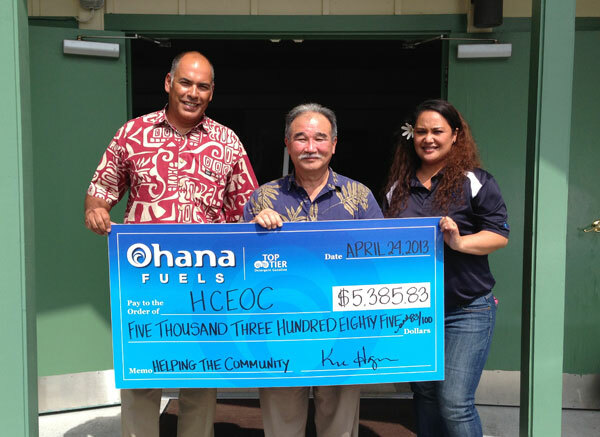 Ohana Fuels, a TOP TIER™ brand of Hawaii Petroleum Inc., recently donated $5,385.83 to HCEOC (Hawaii County Economic Opportunity Council) on the Big Island. 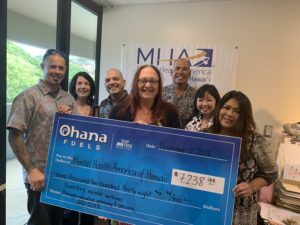 “The employees and Board of the Hawaii County Economic Opportunity Council are deeply grateful to Ohana Fuels for their generous donation” said Jay T. Kimura, Interim Executive Director of HCECO. “This donation will assist us in continuing our efforts to serve the less advantaged and frail in our community. We are especially fortunate that Ohana Fuels have heard the needs of our community”. As part of an ongoing commitment, Ohana Fuels will continue to partner with non-profit organizations that serve the needs of those living in our community by donating a portion of the proceeds from every gallon purchased at Ohana Fuels locations. “The name ‘Ohana represents a philosophy toward our employees, customers and the communities we serve”, said Kimo Haynes, President of Hawaii Petroleum Inc. “It’s through the continued support of our extended Ohana that our charitable contributions program is possible”. Ohana Fuels branded its first location in April of 2012 next to Minit Stop Puainako, followed by Minit Stop Leilani, Minit Stop Keaau and Minit Stop Laupahoehoe. 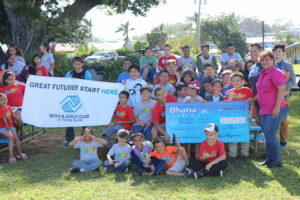 “At Ohana Fuels, we’re proud to support the organizations and missions important to the communities we serve and will continue to partner with non-profits on a quarterly basis” said Joy Madriaga, Commercial Marketing Representative of Hawaii Petroleum Inc.
Ohana Fuels is a TOP TIER™ brand of Hawaii Petroleum Inc. Hawaii Petroleum Inc. has been a leading independent distributor of petroleum products and lubricants on the island of Hawaii since 1970. A dedicated group of 30 employees reside on the Big Island and provide the backbone of Ohana Fuels/HPI’s local operations, with offices, warehouses and terminal operations in both Hilo and Kona. TOP TIER™ Detergent Gasoline is the premier standard for gasoline performance. The EPA requires that all gasoline sold in the U.S. contain a detergent additive. In order to meet TOP TIER™ Detergent Gasoline standards, a higher level of detergent is needed than what is required by the EPA. Clean engines help provide optimal fuel economy and performance and reduced emissions. Also, use of TOP TIER™ Detergent Gasoline will help reduce deposit related concerns. HCEOC is a non-profit Community Action Agency for Hawaii County providing Transportation, Food Services, Youth Program, Housing Assistance and Agricultural Training. It’s focus is to create Equal Opportunity for the disadvantaged by implementing programs for education, job training, housing, transportation, childcare, nutrition, and economic development. HCEOC’s mission is to prevent, alleviate and eliminate poverty in Hawai’i. Ka Lima O Maui is the proud recipient of donation from Ohana Fuels.